The MV Agusta Brutale 800 RR America is limited to just five units in India out of the 200 to be produced globally, and pays homage to the 1975 750S America. The MV Agusta Brutale 800 RR America is interestingly cheaper than the standard version. 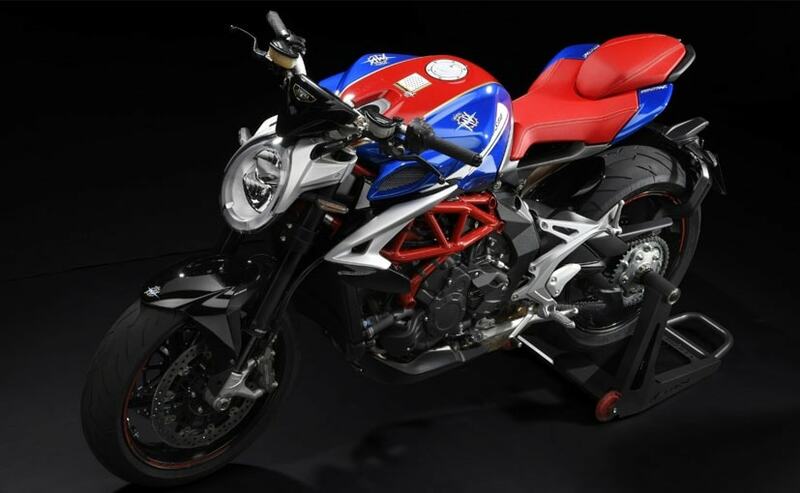 Kinetic Motoroyale, the Indian partner for Italian motorcycle maker MV Agusta has launched the Brutale 800 RR America limited edition motorcycle in the country. The new MV Agusta Brutale 800 RR America is priced at ₹ 18.73 lakh (ex-showroom), and is interestingly cheaper than the standard version by about ₹ 30,000, thanks to the stronger performance of the Indian Rupee in recent weeks. The Brutale 800 is a stunning motorcycle to look at and the new America Limited Edition takes that a notch higher. MV Agusta will be producing 200 units of the Brutale 800 RR America globally, and only five units have been allotted for India. Motoroyale dealerships are accepting bookings for the motorcycle. 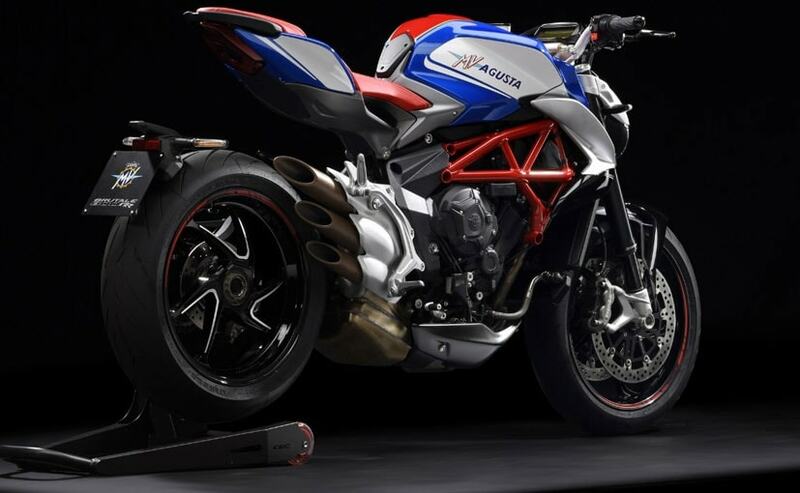 The MV Agusta Brutale 800 RR America Edition pays homage to the 1975 750S America and was built to fulfill a request from Chris Garville and Jim Cotherman of Commerce Overseas Corporation - the primary US importer of MV Agusta motorcycles in the 1970s. 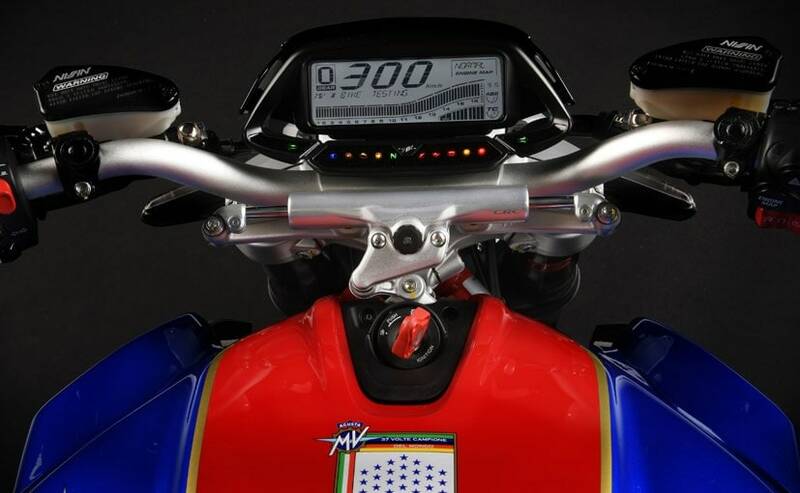 The limited edition model takes inspiration from the US flag for the paint work and sports red, blue and white shades. Each model comes with a star studded logo on the fuel tank and the specific production number. Owners will also be given a certificate of authenticity with every limited edition model. Visual changes also include blue and red paint work on the alloy wheels and the "America Special Edition" decal on the sides of the radiator. Mechanically, the MV Agusta Brutale 800 RR America remains the same. Power comes from the 798 cc in-line three-cylinder, liquid-cooled engine that is tuned for 140 bhp at 12,300 rpm and 86 Nm of peak torque available at 10,100 rpm. The motor is paired with a 6-speed transmission with a slipper clutch. Those are extravagant numbers even by today's standards with the Brutale churning more power than most of its rivals in the naked middleweight segment including the Triumph Street Triple RS, Ducati Monster 821, Yamaha MT-09 and the Aprilia Shiver 900. 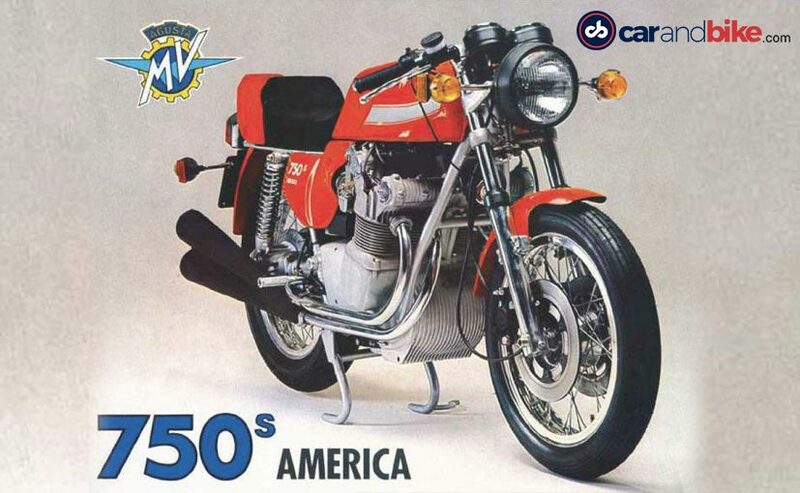 In comparison, the 750S America was powered by a 789 cc double overhead cam inline-four motor, capable of 75 bhp and had a red line of 8500 rpm. MV Agusta's Grand Prix racing experience had largely helped in developing the engine for the 750S America. The new Brutale 800 RR America uses a Trellis frame underneath with 43 mm Marzocchi USD forks up front and a Sachs monoshock unit at the rear. Braking performance comes from 320 mm Brembo double-floating discs at the front and a 220 mm single disc at the rear. The bike also gets a number of electronic assists including the MV EAS 2.0 (Electronically assisted Shift up & down) and Rear Lift Mitigation system (RLM) that helps keep the rear wheel on the ground in case of hard braking.